Darrell and Kevin Darst have an amazing International Harvester museum in Madison, Missouri. Darrell is the editor of the International Harvester club publication Harvester Highlights and he and his wife Kevin have been collecting for decades. 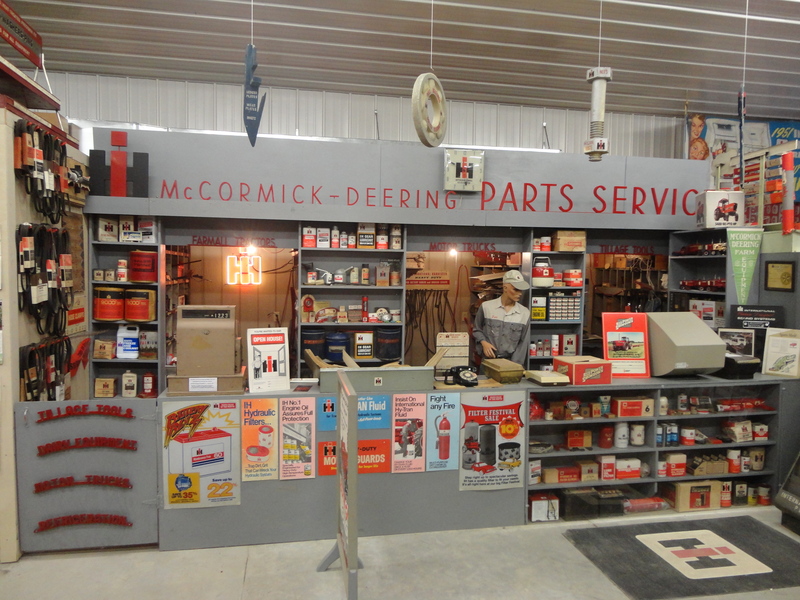 Kevin is the queen of IH refrigeration and freezer collectibles and their museum reflects their knowledge and the love they have for what was once the largest farm machinery company in the country. The Darst Collection includes many rare and unique items like pictures, signs and even equipment. Keith and I visited this August and enjoyed the Darst collection and hospitality. Everyone will walk away with something that is their favorite item, I think mine may have been the film where an IH spokesperson is telling dealers how to sell the refrigerators and talking about the new “Spring green” color. To schedule a visit you need to call ahead at 660-291-8742. Previous Post: I survived the storm!